New York Philharmonic music director Jaap van Zweden performs at David Geffen Hall, Lincoln Center on Sept. 20, 2018 in New York City. 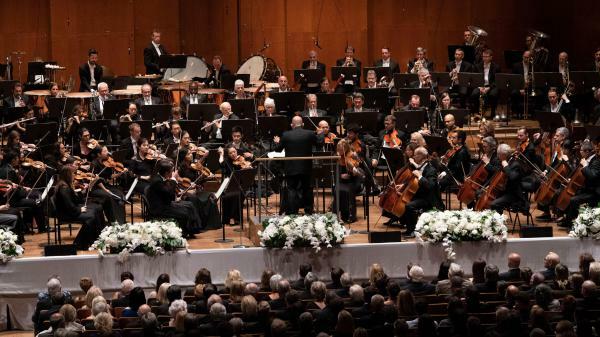 Two of the country's oldest and most venerated music institutions, the New York Philharmonic and the Metropolitan Opera, are beginning their seasons with a change in artistic leadership. Both organizations are grappling with 21st century issues of bringing new audiences in and convincing them that centuries-old music forms are central to their lives today. New York Philharmonic president and CEO Deborah Borda has returned to the organization, where she held the same position in the 1990s. And she's joined by a new music director, Jaap van Zweden. "Jaap is the 26th music director in our 177-year history," Borda says. "So that means it's a moment of great import, because no matter who the past music director was or who the next music director will be, it's a moment to think anew. To take a different point of view." Borda and van Zweden hope to bring in new audiences with a different approach to programming: that means thematic concerts such as "Music of Conscience" and "New York Stories: Threads of Our City." There will also be a lot of new music. "We don't have one composer in residence, but we have a lot of composers in residence, in fact, because they come here and they create their own evening," Dutch-born van Zweden says. "And I think that's a new way of looking and having guests in the house." Borda says they're also going to be inviting in everyday New Yorkers who might want a place to go after a hard day's work, and charging only $5 a ticket. "Let's bring people to the hall for a series of concerts that Jaap will conduct — one-hour concerts," Borda says. "Also, collaborate with trade unions; the firemen's union, policemen's union, hospital workers, school teachers." Across the Lincoln Center Plaza at the Metropolitan Opera, the impact of Yannick Nézet-Séguin, the Met's new 43-year-old music director, is less immediately apparent. His tenure begins two years earlier than projected, says The New York Times critic Anthony Tommasini. "Yannick, when he was announced, it was very exciting in a way, because he's very dynamic, young, tremendous musician," Tommasini says. "But it was not until 2020. And then the sad development with James Levine, having been suspended for sexual misconduct and then fired, just sped everything up. So, somebody has to show up and take over." 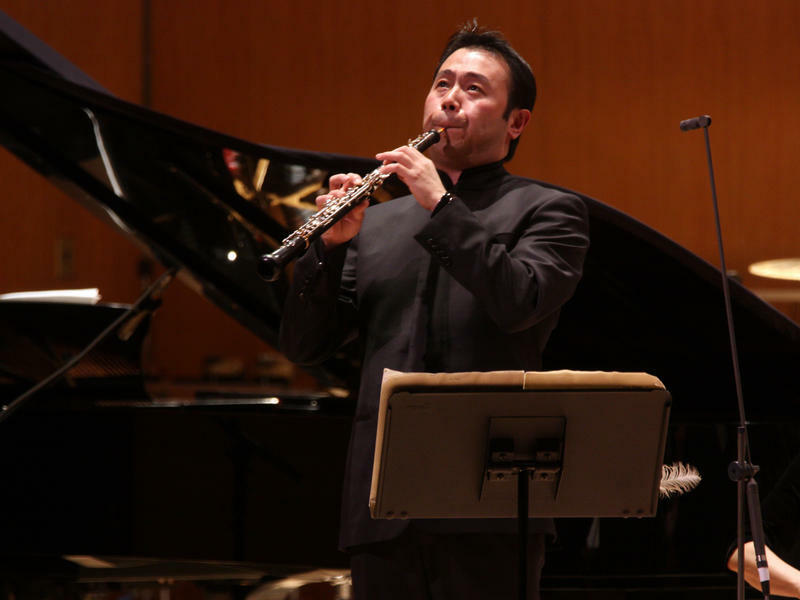 The Metropolitan Opera declined requests for interviews for this story. The Met's been criticized for its response to the Levine scandal and for not changing quickly enough with the times. It has introduced high definition broadcasts to movie theaters and next year, the company will add Sunday matinees, something many arts institutions began decades ago. And while it does have a new program to commission operas — including the announcement Sunday that it will, for the first time, ask Women composers (Missy Mazzoli and Jeanine Tesori) to write new operas — Tommasini wonders whether the Met's tradition of presenting a different opera every night also might need to change. "You have one show at a time, basically, maybe two," Tommasini says. "You try to create a sense that everyone in New York must come and see what's going on now." Now is the big issue says the Philharmonic's Borda. "It's an on-demand society," she says. "We sit down at our keyboards and everything's at your fingertip and you can make a last minute decision. So, the issue is how do we entice people in that last minute decision in a very digital world to come to the Philharmonic and to come and sit down in a fairly abstract art form that you sit down and you're quiet for an hour and a half?" Whatever the answers, the New York Philharmonic just launched its new season and the Met launches its season tonight. 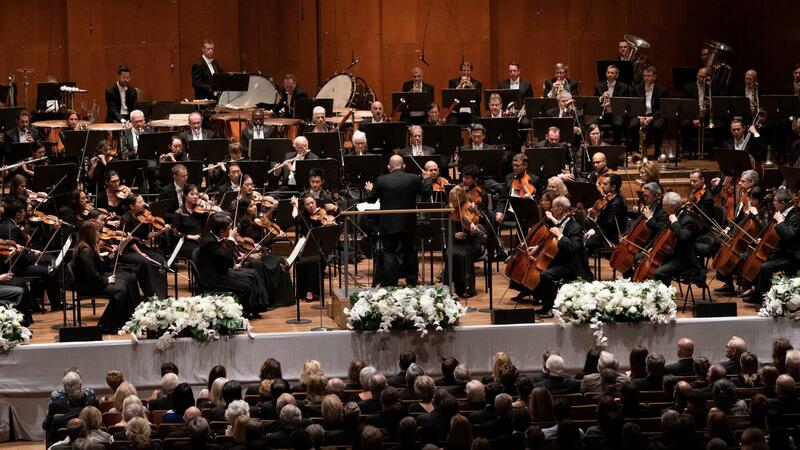 Two of the benefits of living in or visiting this city is that you can attend a performance of the New York Philharmonic or the Metropolitan Opera. Both are beginning new seasons, both have new leadership and both are trying to attract new audiences. Jeff Lunden reports. JEFF LUNDEN, BYLINE: New York Philharmonic president and CEO Deborah Borda has returned to the organization where she held the same position in the 1990s, and she's joined by a new music director, Jaap van Zweden. DEBORAH BORDA: Jaap is the 26th music director in our 177-year history. That means it's a moment of great import because no matter who the past music director was or who the next music director will be, it's a moment to think anew, to take a different point of view. LUNDEN: Borda and Jaap van Zweden hope to bring in new audiences with a different approach to programming - thematic concerts, such as "Music Of Conscience," "New York Stories." There will also be a lot of new music, says the Dutch-born van Zweden. JAAP VAN ZWEDEN: We don't have one composer in residence, but we have a lot of composers in residence, in fact, because they come here and they create their own evening. And I think that's a new way of looking and having guests in the house. LUNDEN: And they're going to be inviting other guests in the house, says Deborah Borda, everyday New Yorkers who might want a place to go after a hard day's work. BORDA: Let's bring people to the hall for a series of concerts that Jaap will conduct, one-hour concerts. Every ticket, $5. Also collaborate with trade unions - the firemen's union, policemen's union, hospital workers, school teachers. LUNDEN: Across the Lincoln Center Plaza at the Metropolitan Opera, the impact of Yannick Nezet-Seguin, the Met's new 43-year-old music director, is less immediately apparent. His tenure begins two years earlier than projected, says New York Times critic Anthony Tommasini. ANTHONY TOMMASINI: Yannick, when he was announced, it was very exciting in a way because a he's very dynamic, young, tremendous musician. But it was not until 2020. And then the sad development with James Levine, having been suspended for sexual misconduct and then fired, just sped everything up. So somebody has to show up and take over. LUNDEN: The Metropolitan Opera declined requests for interviews for this story. The Met's been criticized for its response to the Levine scandal and for not changing quickly enough with the times. It has introduced high-definition broadcasts to movie theaters, and next year the company will add Sunday matinees, something many arts institutions began decades ago. And while it does have a new program to commission operas, Anthony Tommasini wonders whether the Met's tradition of presenting a different opera every night also might need to change. TOMMASINI: You have one show at a time, basically. Maybe two. And you try to create a sense that everyone in New York must come and see what's going on now. LUNDEN: And now is the big issue, says the Philharmonic's Deborah Borda. BORDA: It's an on-demand society. We sit down at our keyboards, and everything's at fingertip and you can make a last-minute decision. So the issue is, how do we entice people in that last-minute decision in a very digital world to come to the Philharmonic and to come and sit down in a fairly abstract art form that you sit down and you're quiet for 1 1/2 hours? LUNDEN: Whatever the answers, the New York Philharmonic just launched its new season and the Met kicks off its season tonight. For NPR News, I'm Jeff Lunden in New York. Transcript provided by NPR, Copyright NPR. This past weekend, many of us eagerly listened to the Metropolitan Opera’s performance of Giuseppe Verdi’s Requiem only to have our hearts sink within the day. James Levine’s much-heralded return to the podium coincided with breaking news of multiple allegations of sexual abuse by the conductor.